I’ve tried the YSL Volupte Shine (I think thats what they’re called), the ones with the round casing that shows a sneak peak of the colour through a pretty embellished thingy… I’ve got 2 of those shades which I really like, they’re not sheer in colour but they feel very light on the lips and are really easy to apply. Sometimes, you want something a little heavier and I don’t mean heavy I just mean heavier. Something that feels a little bit more permanent on the lips, something that isn’t just going to slip off. And these pur couture lipsticks are absolutely perfect. I got 3 shades, 1, 50 and 19 (left to right). 1 is a beautiful classic red, 50 is an orange toned red which is gorgeous and number and finally number 19 which is a gorgeous blue toned pink. The formula of these is lovely and creamy and they don’t seem to settle into lines in the lips through the day. They also wear evenly which is very important. People often don’t really talk about how they wear because it seems like a negative trait but it is something which I think is really important. Nobody wants a ring around their lips after having a sip of a drink. These lasted well through christmas dinner too! 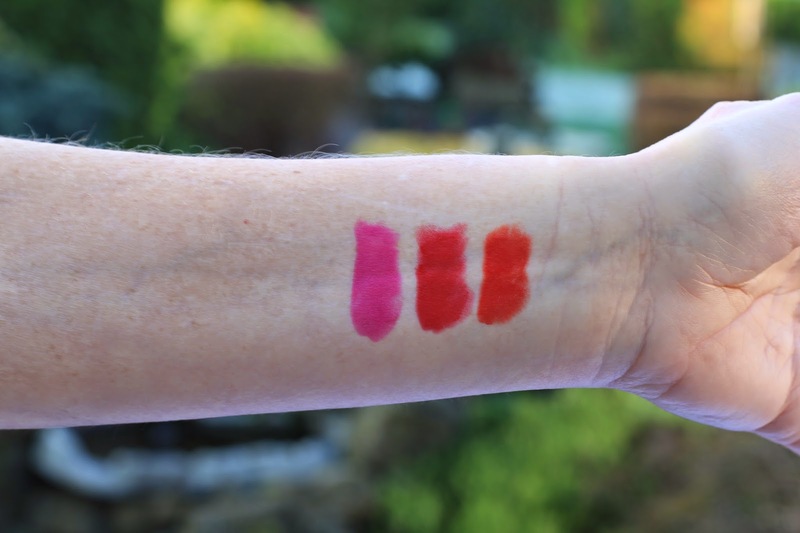 I’m so impressed with these lipsticks – impressed isn’t really the right word, i’d have been disappointed in YSL if they hadn’t been good but they really are! Does any one else get lipstick on their chin when they eat?! 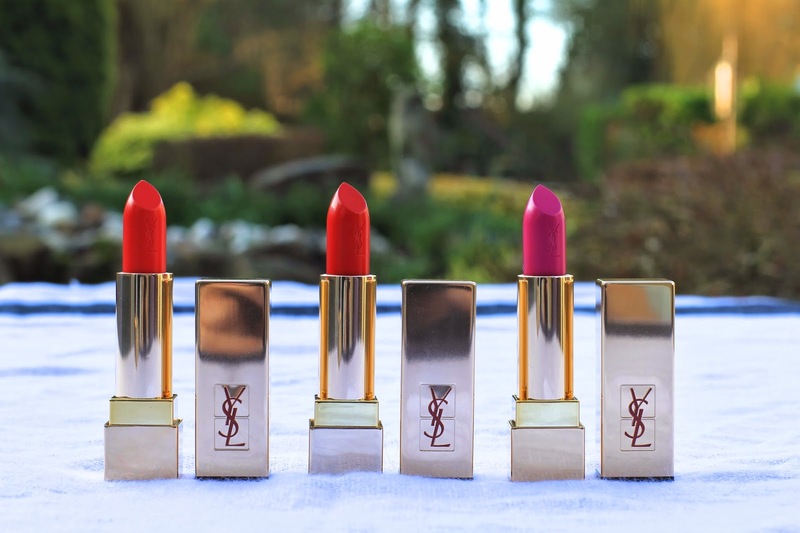 I've never tried anything YSL yet but these lipsticks look amazing! So colourful and pigmented – defo need to get myself down to a counter and try them out for myself! There's something about the packaging too that just feels so oh-so-luxurious!